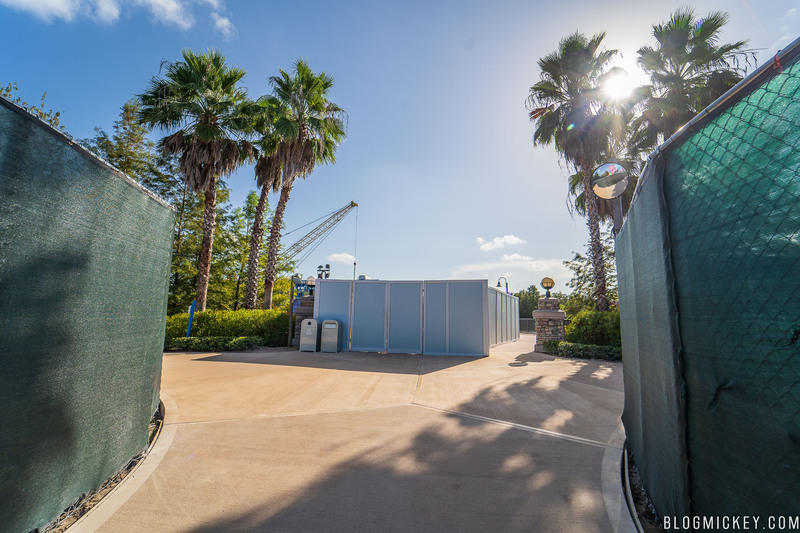 We made it out to Art of Animation this morning to check up on the Disney Skyliner station progress. 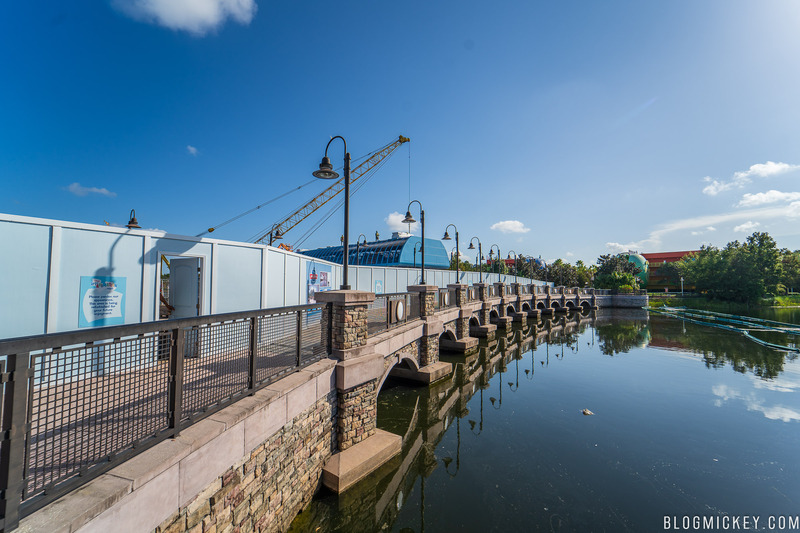 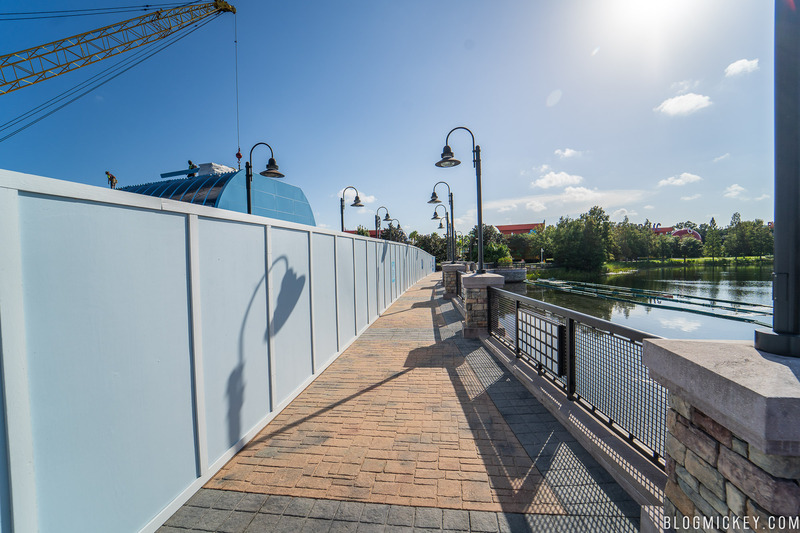 First, we’ll start with some work on the Art of Animation side of Hourglass Lake. 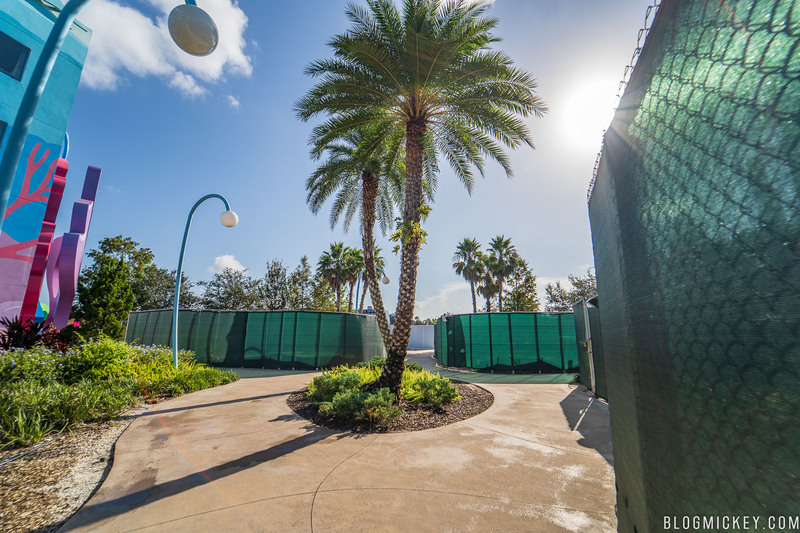 What appears to be underground work is taking place on both sides of the path leading to Hourglass Lake from the pool area. 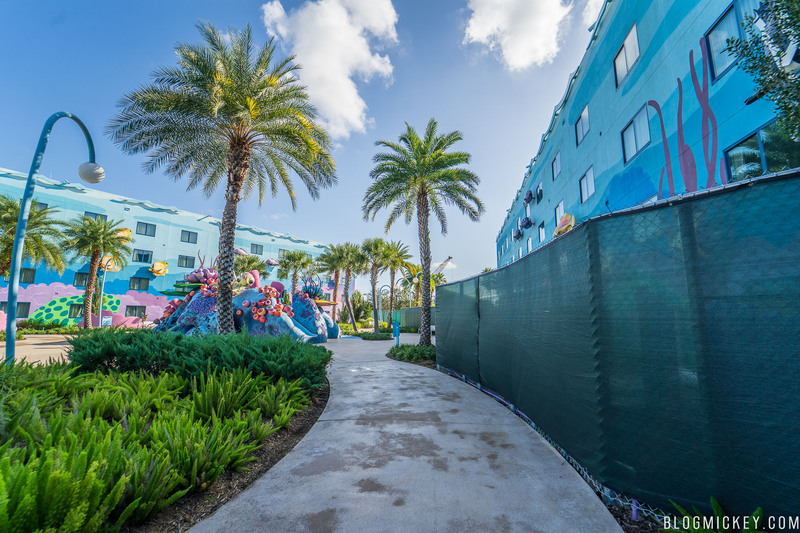 Once you make it out to Hourglass Lake, you’ll find only a narrow walkway across the bridge that connect both Art of Animation and Pop Century. 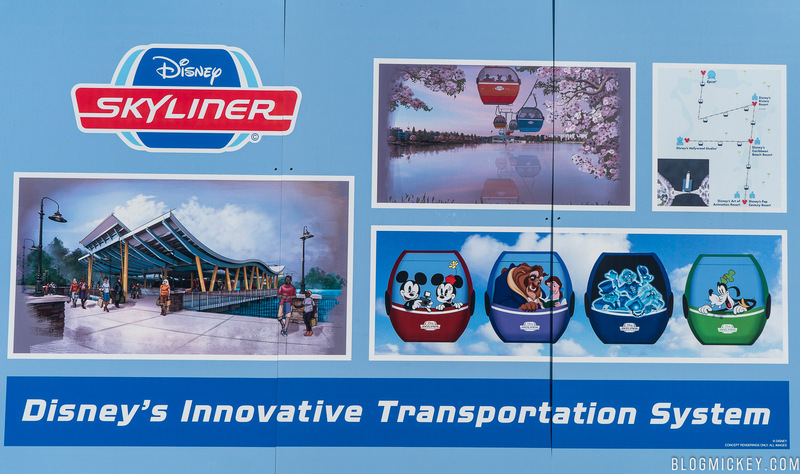 Here’s a look at the concept art that can be found on the wall. 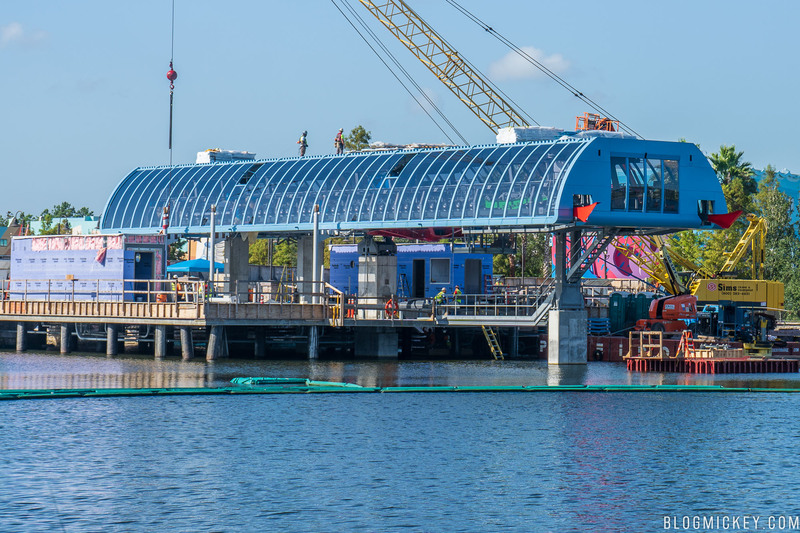 The station has made some excellent progress, catching up with both the Epcot and Hollywood Studios stations. 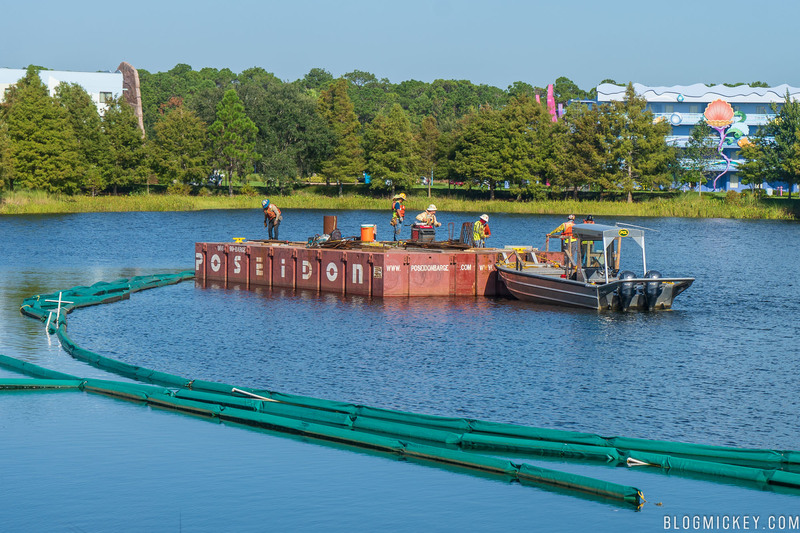 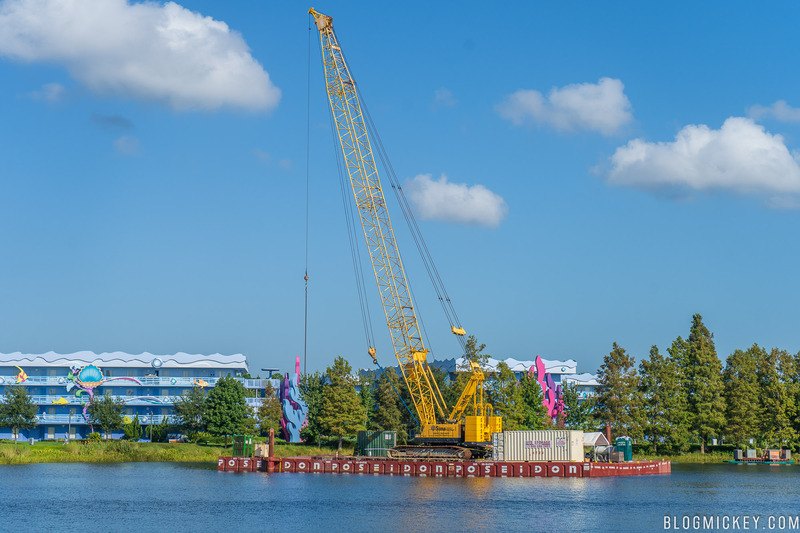 Across the lake, we can see crews on barges working on areas where the gondola support towers will be installed. 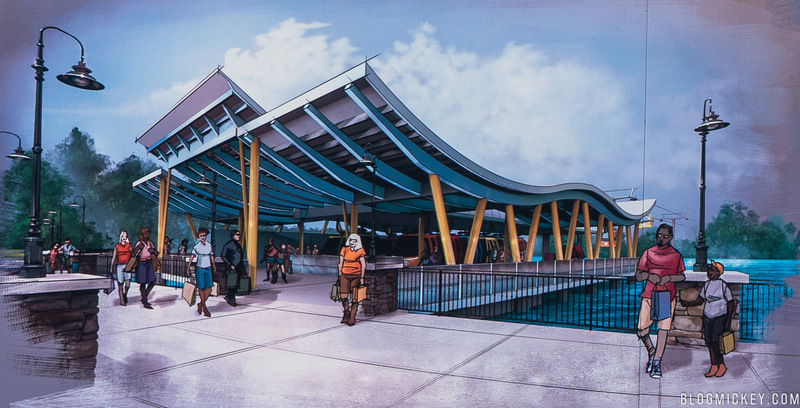 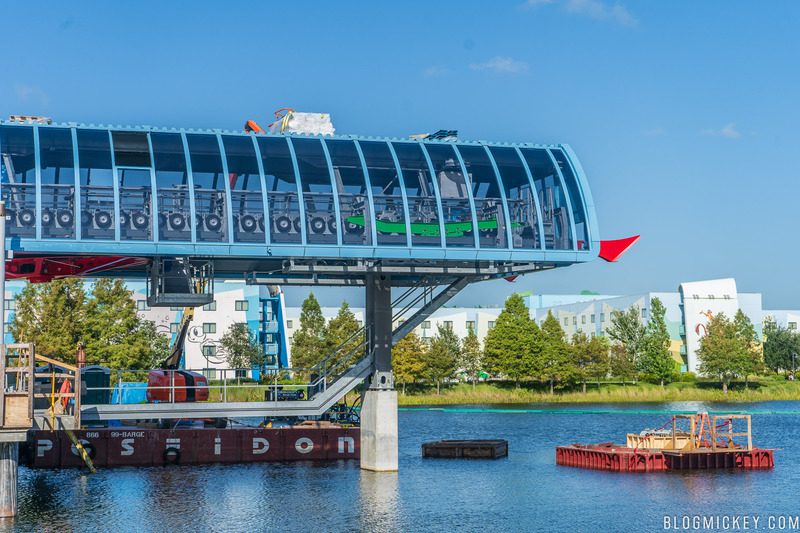 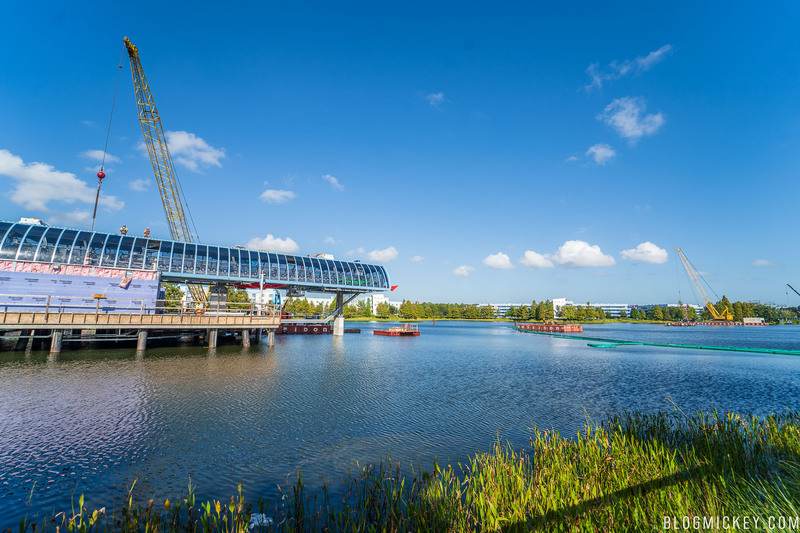 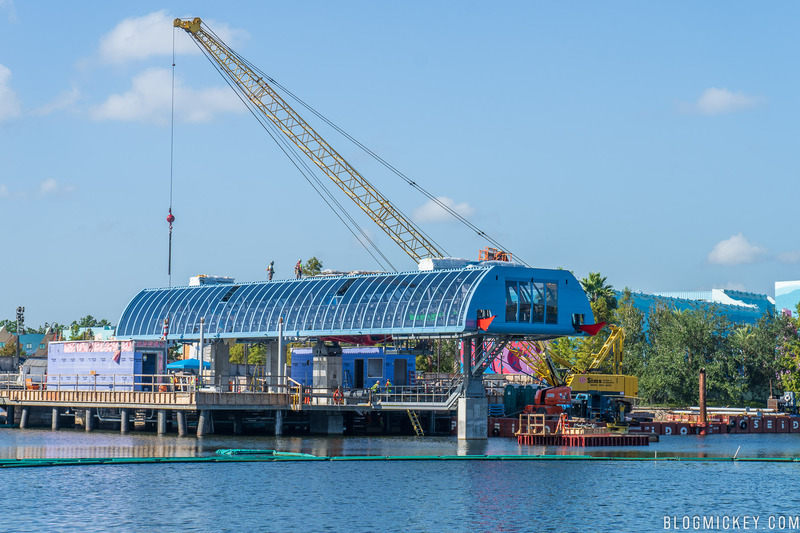 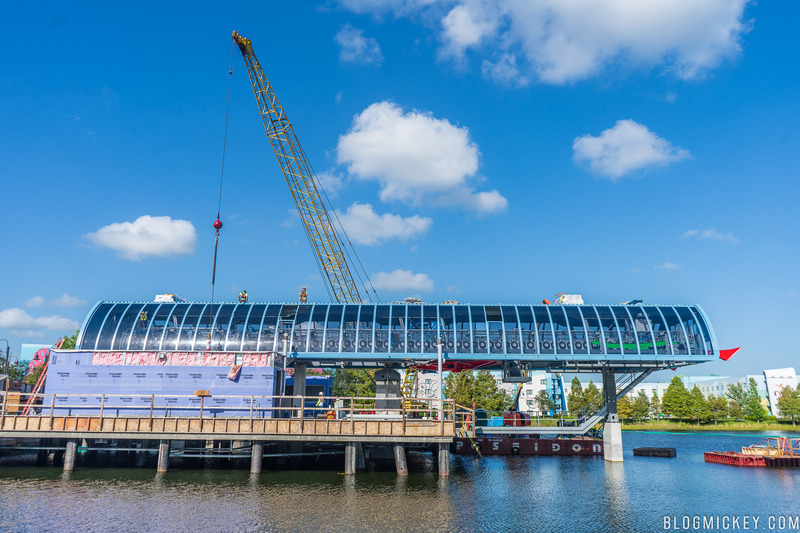 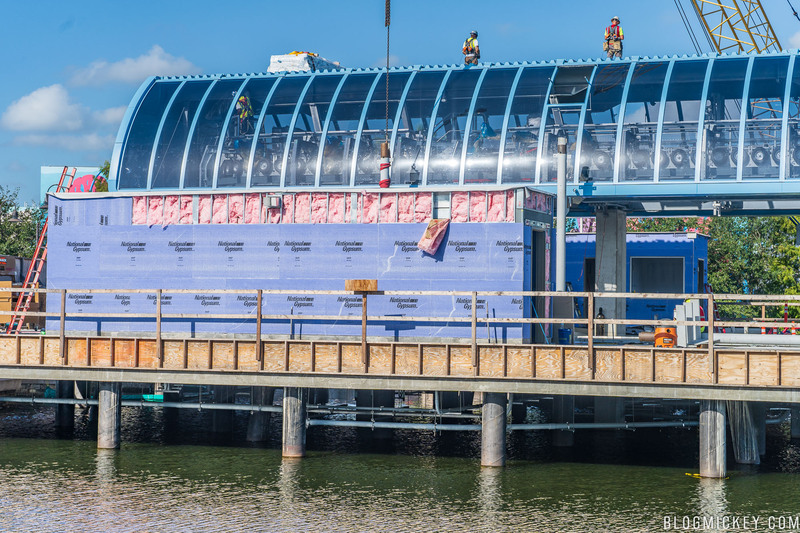 The Disney Skyliner gondola system is expected to be functioning by mid-2019.